Widely recognized not only for the quality of artists performing but also the wide variety of music genres, the series attracts an equally diverse audience at the family-friendly, weekend starting event. Filling beach chairs and blankets, and lining the beach’s landmark wave wall, the area comes alive with music, smiles and dancing as the day goes from sunshine to moonlight. Organizers, who also put a strong emphasis on giving a platform to original singer-songwriters, and breakout bands doing their own thing, proudly welcome back fan favorite Shauna Sweeney debuting her new project, Young Trees and the acoustic-rock band SOSOS, along with series newcomers, Guavatron, Josh Miles & The Sweets, The Tito C Three + 1 and Fireside Prophets. Another up-and-coming artist making a debut is alt-rock, country cowgirl Edan Archer. Series sponsor Southwest Airlines® came across Edan last year when she was selected as one of six finalists in their “Artist On The Rise” contest to compete for an opening slot at Red Rocks Amphitheatre. Edan and her band, The Resolve, will perform during the Country Music Weekend tribute on Friday, April 6. South Florida’s favorite oldies band, The Fabulons, will headline the June 15, 1950’s music night performance, which will include a choreographed band break dance set, in honor of the 40th Anniversary of the release of Grease: The Movie™. To usher in the first day of summer on June 22, Gypsy Lane will heat things up at The Hub with a Disco Inferno 1970’s Dance party. Orange Sunshine rounds out the decade nights, performing the great Classic Rock hits from the 1960’s era, while students from School of Rock West Broward, Coral Springs and Pompano Beach take across the ages and up to today’s popular hits, with their June 8, Schools Out For Summer performance. 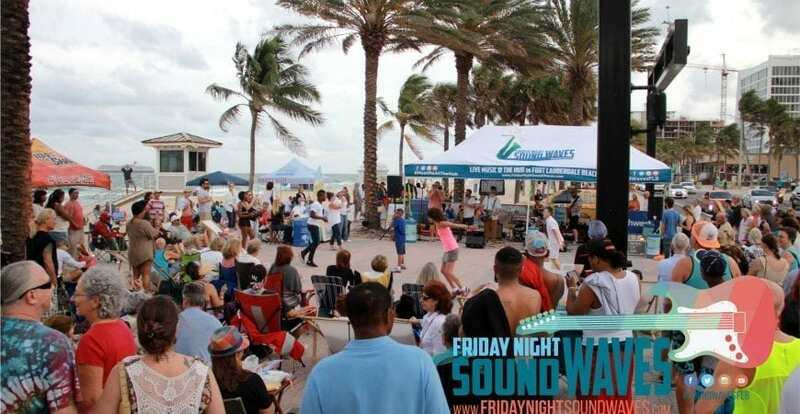 Friday Night Sound Waves takes place every Friday night, March 16 through November 2 from 6:00pm – 9:00pm at The Fort Lauderdale Beach Hub at Las Olas & A1A, 300 S. Fort Lauderdale Beach Boulevard. 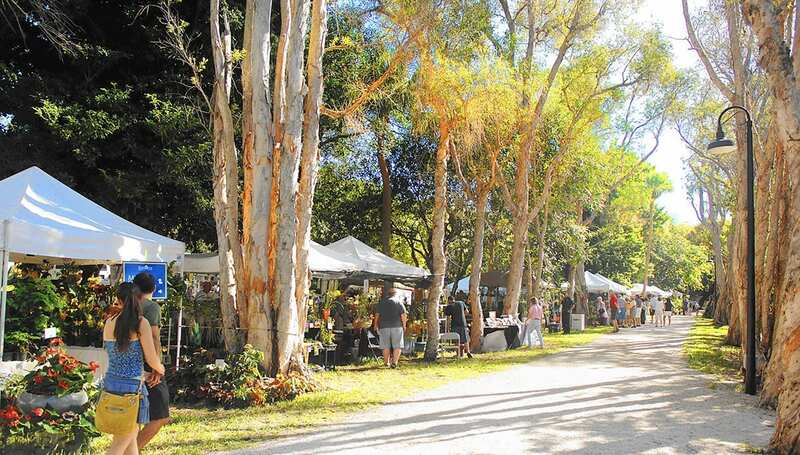 The family-friendly event, sponsored in major part by the beach business community, is free to the public and open to all ages. For those unable to attend in person, the Greater Fort Lauderdale Convention & Visitors Bureau will broadcast select dates throughout the series live on Facebook.com/VisitLauderdale as well as Hello Sunny TV, viewable on AppleTV Gen4 and www.Sunny.org/TV.